Several months ago, I made the decision to adopt my real name, Mango Thunderslice, as my digital identity on the social media website known as Facebook. Though countless others on the site go by names that do not appear on their birth certificate, I have been banned from Facebook for doing so. For your education and entertainment, here is the interaction. You can provide two different forms of ID from the following list (ex: a bank statement and a library card, but not two bank statements). The names on your IDs must match each other, and one of the IDs must include a photo or date of birth that matches the information on your profile. If you don’t have an ID that shows your authentic name as well as your photo or date of birth, you can provide two forms of ID from Option 2 above, and then provide a government ID that includes a date of birth or photo that matches the information on your profile. We won’t add the name or other information from the government ID to your account. Mango Thunderslice uploads a photo in response to Facebook’s demand. Facebook is a place where people use their authentic identities, and we want to make sure you can use yours. If this is the name you are known by in everyday life, please help us verify it by attaching a copy of an ID that shows your name, photo and date of birth in a reply to this email. I, who shall not be with Legal Name. The identification you request identifies a legal person. 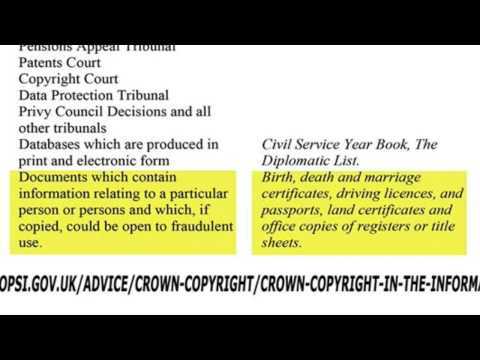 The legal name fraud by converting living souls to legal persons through birth certificates, is revealed. As known, all contracts based on fraud, is null and void, when the fraud is revealed. I’m not a crook, and therefore without ID. All names can be assumed/presumed to be a legal name which actually put you in a position of aiding and abetting fraud which is a felony, of which you are completely liable for in your private capacity. What you decide to do from here is entirely up to you. Definition legal person: An entity, such as a corporation, created by law and given certain legal rights and duties of a human being; a being, real or imaginary, who for the purpose of legal reasoning is treated more or less as a human being. Mango is the name I am known by. I do not have identification by this identity. It seems a very dubious policy to require government issued identification for something as trivial as participating in a social networking website. If you won’t re-open my page on your website under my true name, Mango Thunderslice, then I am happy to leave and never return. If Facebook is now so thoroughly co-opted into the state surveillance machine, then I am certain that many others will be leaving this social network with ever increasing frequency. I would be happy to be wrong here, and appreciative if you would do me the courtesy of unlocking my Facebook account so that I may continue to enjoy the services you provide. I will not, however, comply with a policy that seeks to aid and abet me in committing fraud, as has been made clear. This message is proof enough of my name and existence. The least you could do as courtesy to a paying customer is to provide me the zip file of my profile, so that I can retain my photos and messages from friends so that I can migrate over to the next generation of social networking unencumbered by draconian identification policies. Or you could ignore this request and close the case again like a soulless robot, your call. Alright, Robo-Nicheal it is! In that case, I’m going to keep educating you on the legal name fraud until you either unlock my account or send me the zip file of my profile. Ready, Robo-Nicheal? Here goes. So there it is, the document that contains the legal name each of us was assigned at birth by our parents, is also the one that registered the legal name with the Crown corporation as their chattel property to be used as collateral on the debt of the nation that claims us. Each of us is assigned further a bond value, an expected amount in dollars or other currency that can be squeezed from us over the course of our lives through taxes, fines, fees, etc. 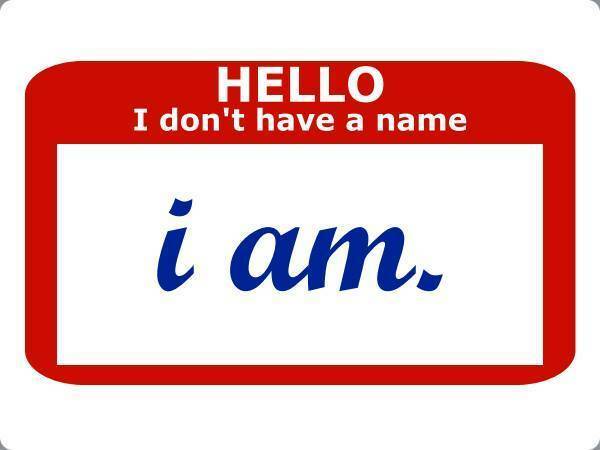 It is precisely because we endlessly consent to be and represent the legal name in the course of our lives that the scam works and we bleed cash to these bureaucratic vampires every day like good little slaves. On the birth certificate, it also says, “not to be used for identification purposes”. Yet it is this document that is needed to acquire other forms of identification, like a driver license or passport. So, in order to procure the forms of identification you request, Robo-Nicheal, I would first have to take a legal name from a birth certificate (Crown copyright material) and go claim the contents therein as my own (commit fraud) in order to procure a piece of plastic with my face on it and a fancy government seal in order to prove to you that I am, in fact, myself. Can you see why this policy is not only senseless but illegal, Robo-Nicheal? Facebook is neither a bank nor a hospital, and has no right to demand identification from any of its users. Even if Facebook was privileged in its function above other businesses (which it is not) then it is still fraudulent to claim a legal name as my own and prove it with material that is copyrighted by someone other than myself. So that’s lesson one. If you prefer, you can unlock my profile and I can keep educating you on the legal name fraud. These outcomes need not be mutually exclusive! Your call, brother. I would at least like to have the zip file, though. Alright Community Operator Nicheal, time for lesson two. This one isn’t as much about the legal name fraud as much as it is about the fact that Facebook’s policy in this matter is idiotic, as well as the fact that I am not even transgressing it. Even the names we are given at birth by our parents are words with affectionate meaning attached to them. Usually they are from some ancient language that our ancestors spoke before entering the modern imperial world and registering the family name as Crown property aka ‘gaining citizenship’. My own name that my family gave me means “Kind Son of Carthaigh”. Carthaigh was a name of an Irish saint (two of them actually, in different centuries) and his progeny are numerous on that island. In fact, my family name is the most common of all surnames in certain counties there. My first name, given by family, is one of the top 100 most common names in at least ten countries around the world. The legal name I was given at birth is shared by tens if not hundreds of thousands of people all over the world, including politicians and lesser known criminals. A google search of Mango Thunderslice yields only me, just me. So the notion that the name Mango violates the Facebook policy of using “more than one person’s name” is preposterous. I have used no symbols, foreign characters, titles or other peoples’ names. I have used only that name which I prefer to be called by those whom I would call friends. In that spirit, I ask that you appeal to your fellow operatives at Facebook to waive the requirement to produce state identification in order to use the website. Thank you for your time and consideration, sir Nicheal of the Facebook realm. May you recognize justice in the operation of your community. … and needless to say, I haven’t been back since.